Originating back in 1991, Country Corners Deli and Pizzeria was a local neighborhood stop for a hot breakfast, delicious lunch and filling dinner. Twenty three years later, Country Corners Deli & Pizzeria remains that same local spot that everyone has come to trust and enjoy. Through the changes in the years, Country Corners Deli & Pizzeria has only gotten better over time. 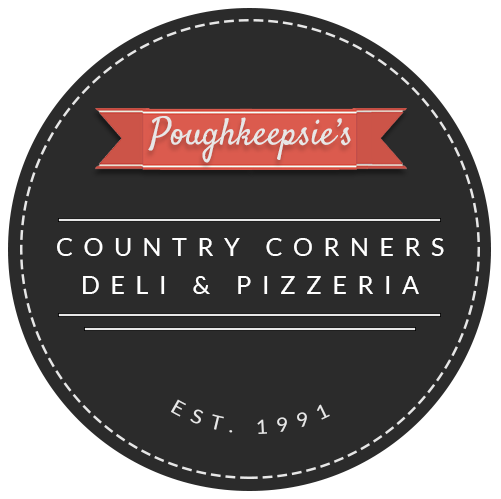 Serving some of the best homemade pizza and wide variety of sandwiches, calzones, appetizers and other delicious dishes, Country Corners Deli & Pizzeria is a staple in Poughkeepsie, NY. Open from 5:30 a.m.-9:00 p.m. on weekdays, Country Corners Deli & Pizzeria has a breakfast menu, take out subs and a full lunch menu as well as a full dinner menu. Looking to feed the staff during lunch? Call to place an order for entrees, sides, appetizers and desserts. Is it your turn to feed the team with snacks during the game? Don't stress, call Country Corners Deli & Pizzeria for quick and easy cheese platters, fruit trays or veggie platters. Country Corners Deli & Pizzeria has a large catering menu to choose from and if you don't see the side you're looking for on the menu, call ahead of time and we will work with you to take care of all your catering needs. Copyright © 2019 Country Corners Deli & Pizzeria | Poughkeepsie, NY, all rights reserved.